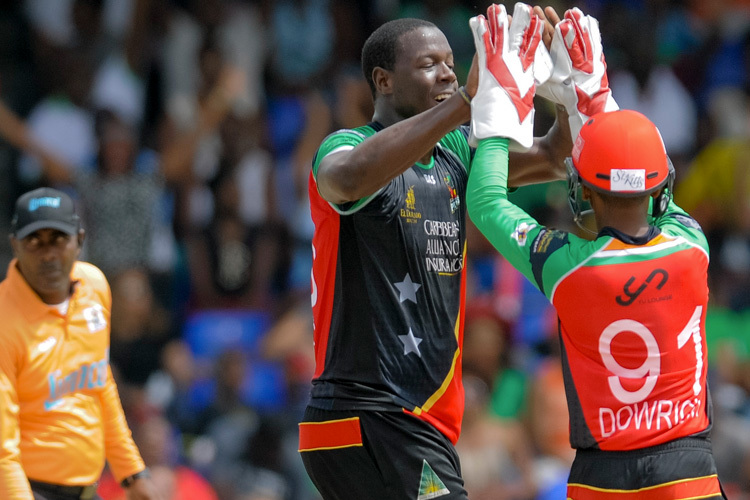 The Trinbago Knight Riders consigned Guyana Amazon Warriors to their third consecutive defeat in the Hero Caribbean Premier League with a seven-wicket win at the Queen’s Park Oval on Friday night. Colin Munro’s belligerent 70 not out (49 balls) and Denesh Ramdin’s quickfire 42 (23 balls) made the difference in a tense run-chase. Guyana Amazon Warriors posted 156/7 despite some fine bowling from Shadab Khan (4/28) and Sunil Narine (2/16). The Knight Riders registered their third win in four matches, while the Amazon Warriors are without a win after three games. That scenario seemed unlikely early on when the Warriors raced off to spectacular start with 40 runs coming off the first three overs. Guptil hit 22 runs off Rob Frylinck’s first over, and Chadwick Walton hit a six and a four off Khary Pierre’s next over. Bravo made a double change which bore immediate fruit and set the Warriors back. 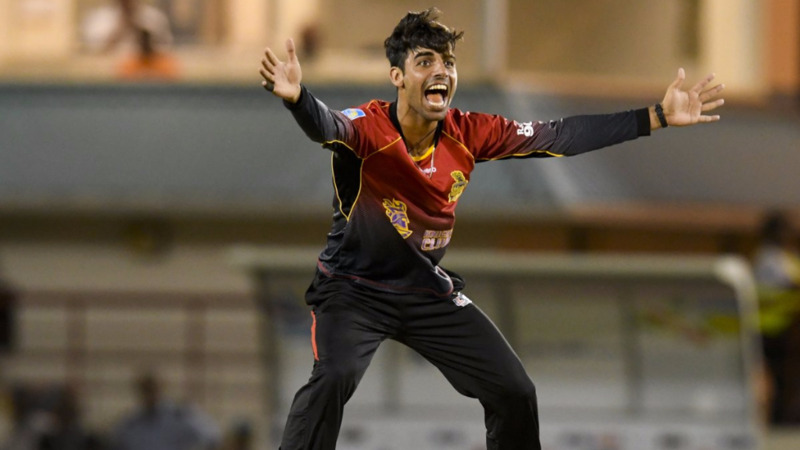 Shadab Khan had Guptil (24) spectacularly caught by Pierre at long on and Narine trapped new batsman Babar Azam (2) lbw in the next over. Walton continued to look dangerous, hitting two more sixes off Pierre before falling on 36 to a well-judged catch by Brendon McCullum. The Guyana Amazon Warriors were 82/3 after 10 overs but their position deteriorated quickly after the break. Jason Mohammed (13) was caught on the boundary by Pierre off a Khan long-hop and Gajanand Singh (7) swept a Narine delivery to Javon Searles on the long leg boundary. The fall of Singh’s wicket marked Narine’s 50th wicket in the Caribbean Premier League. The 18th over proved to be critical as the Warriors attempted to accelerate. Sohail Tanvir (11) hit a six off Shadab before he and Roshon Primus (23) fell off consecutive balls to end a promising 34-run partnership. Keemo Paul (14 not out) and Rayad Emrit (11 not out) put on a quickfire 25, including 12 off the last over, to lift the Guyana Amazon Warriors to 156/7 in their 20 overs. The Knight Riders chase of 157 for victory got off to the worst possible start with McCullum driving the first ball of the innings straight to Singh to depart for a duck. Partnerships were required and Colin Munro and Sunil Narine would get the innings back on track with a 44-ball effort for 79. Darren Bravo (17) departed caught behind off a Primus bouncer, ushering in the in-form Denesh Ramdin. The former Guyana Amazon Warrior batsman proceeded to take over proceedings from the set Munro, scoring freely in his 23-ball knock. 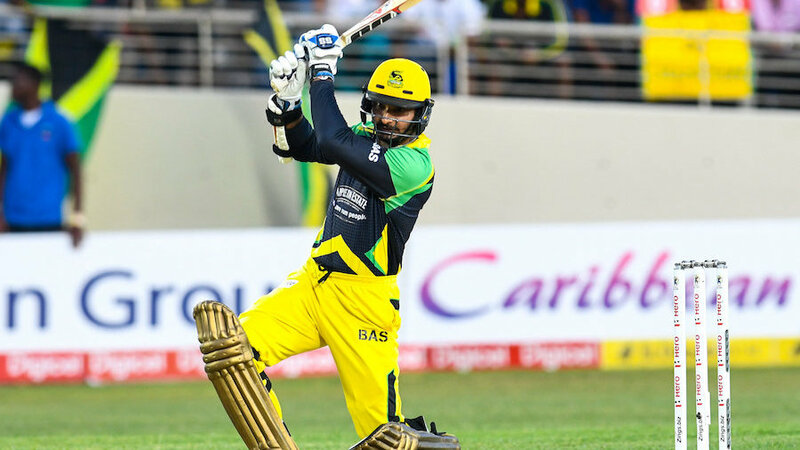 Ramdin struck three sixes and three fours in his 42 not out, while the explosive Munro played second fiddle in their unbroken 56-run partnership, off only 34 balls. 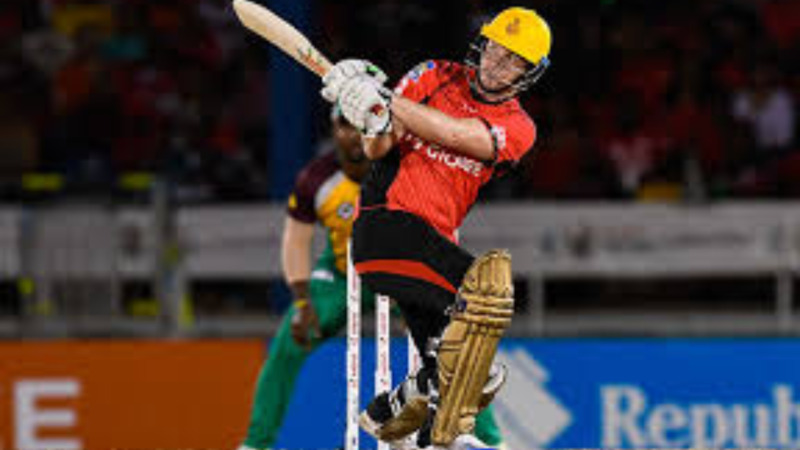 The former West Indies wicketkeeper slashed the last ball of the 19th over from Emrit for six to ease the Knight Riders over the line with six balls to spare.